Gold seemed to fizzle out at the end of 2013, with the Federal Reserve cutting back $10 billion on its bond purchases and a 28% annual drop in gold prices. These factors led many to question gold’s future as a desirable, physical asset that carries value and preserves wealth. 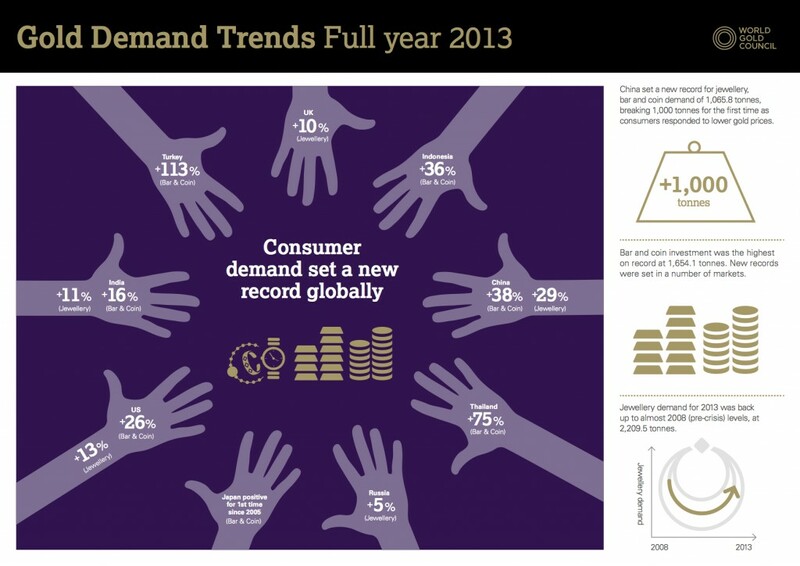 However, demand is essential to the value of any asset, and it’s clear that in 2013 the demand for gold was higher than ever.